In one decade, Zomato has established itself in 24 countries. Their aim is straightforward: to ensure nobody has a bad meal. Every restaurant that you have been to and the ones you haven’t heard of are registered with Zomato. Use Zomato Gold gift cards and gift vouchers to go cashless. This is a GyFTR Instant Gift Voucher. To redeem, visit www.zomato.com/gold . Login/register on the website and select your membership plan. Enter the voucher number received via “SMS or E-Mail” in “Have a Promo code?” section and click on Apply. No physical voucher is couriered or is required. 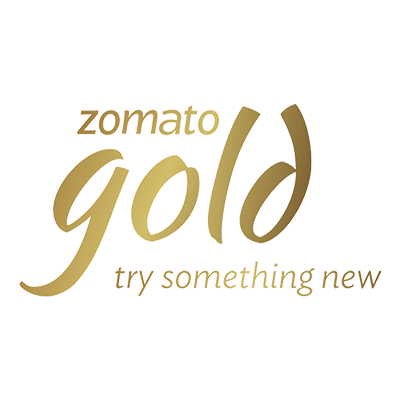 Zomato Gold Membership code CAN be used online at www.zomato.com/gold and Zomato App. Only ONE Zomato Gold Membership code CAN be used in a single transaction. Zomato Gold Membership code CANNOT be used directly at the Restaurant. Zomato Gold Membership code CANNOT be clubbed with on-going promotions. This is a Zomato Gold Membership code and would be accepted online at www.zomato.com, Zomato App and not on any other products/services. The person who has the Zomato Gold Membership code is deemed to be the beneficiary. Zomato is not responsible if the Zomato Gold Membership code is lost, stolen or used without permission. Only one Zomato Gold Membership code can be used in one bill/transaction. Zomato Gold Membership code can only be used to purchase new membership and will not be acceptable for renewal. This is a ONE time use Code with an expiry date. INR 1200 Zomato Gold Membership code can only be used to purchase 6 month Membership and INR 1900 Zomato Gold Membership code can only be used to purchase 12 month Membership. No credit note / refund can be claimed against this Zomato Gold Membership code. Zomato Gold Membership code CANNOT be revalidated once expired or cancelled under any situations. Zomato Gold Membership code cannot be clubbed with any one of the existing offer on its website. Zomato Gold Membership code cannot be redeemed on specific block out dates as may be intimated / updated by Zomato Gold on its website from time to time. Zomato Gold may add or delete any date(s)/period(s) on its sole discretion without any liability. Any dispute related to the Zomato Gold Membership code should be referred to the issuing company and the decision of the issuing company shall be final. In case of any legal disputes, the courts at Mumbai shall have the exclusive jurisdiction. Zomato shall on best effort basis attempt to accept Zomato Gold Membership code but on account of any technical reason or for any reason beyond control of Zomato, Membership code may not get accepted on the website or App and Zomato shall have no liability for the same. If Zomato Gold Membership code gets blocked on account of technical issue, it would get enabled in 72 hours. In case of transaction failures after Zomato Gold Membership code is applied, amount would be automatically refunded to the same cards within 48 hours. For any queries / issues related to Zomato Gold Membership code, you can write in to help@gyftr.com or call 1800 4199 150. Zomato reserves the rights to edit/change the terms and conditions for the Zomato Gold Membership code at any time without any notice or liability. Zomato has the final authority on the interpretation of these rules. Zomato reserves the right to withdraw Zomato Gold Membership code scheme/offer before the completion of validity period without any notice or liability at its sole discretion. In no event the liability of Zomato for any claims shall exceed the value of the Zomato Gold Membership code in dispute. Instant Vouchers once redeemed cannot be cancelled.